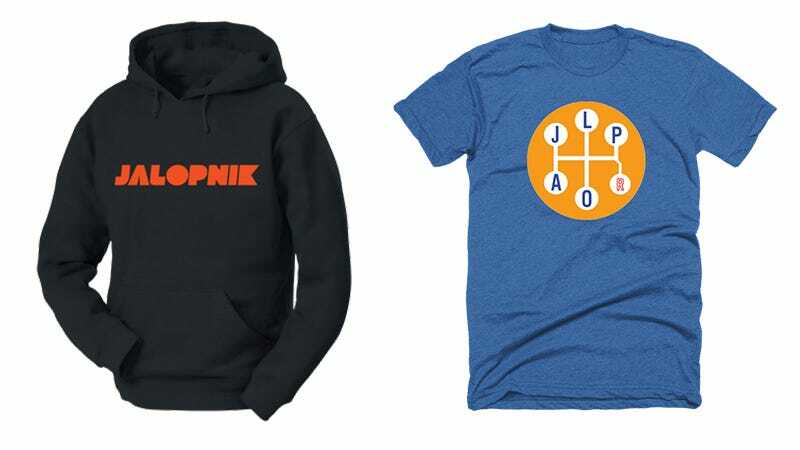 The Jalopnik store you’ve always wanted is finally here. So if you’ve ever commented asking why there isn’t a place to buy stickers and tees, well, now there is. We’ve got 100% cotton tees, 50/5o cotton and polyester blend tees and light or heavyweight hoodies. Choose simple designs like the Jalopnik logo or blog-inspired art such as the “Have You Seen This Car?” tee. They all come in several colors including black, navy, heather gray, heather red, powder blue, and more. Plus we’ve got stickers, decals, and magnets. In the comments tell us what we’re missing and what you want to see! And remember, you can always find a link to the store on the footer of the Jalopnik homepage, or you can bookmark store.jalopnik.com.